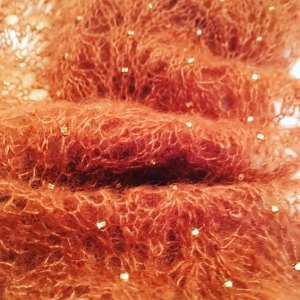 A beaded lace scarf that is offered in either Kidsilk Haze or double knit options. Both options are included in the pattern. 4 x 50g balls of Juniper Moon Farms Findlay Silk Wool DK (or any DK of your choice), 4mm, 3.25mm and 3.75mm needles and c700 beads size 6 for the DK scarf. 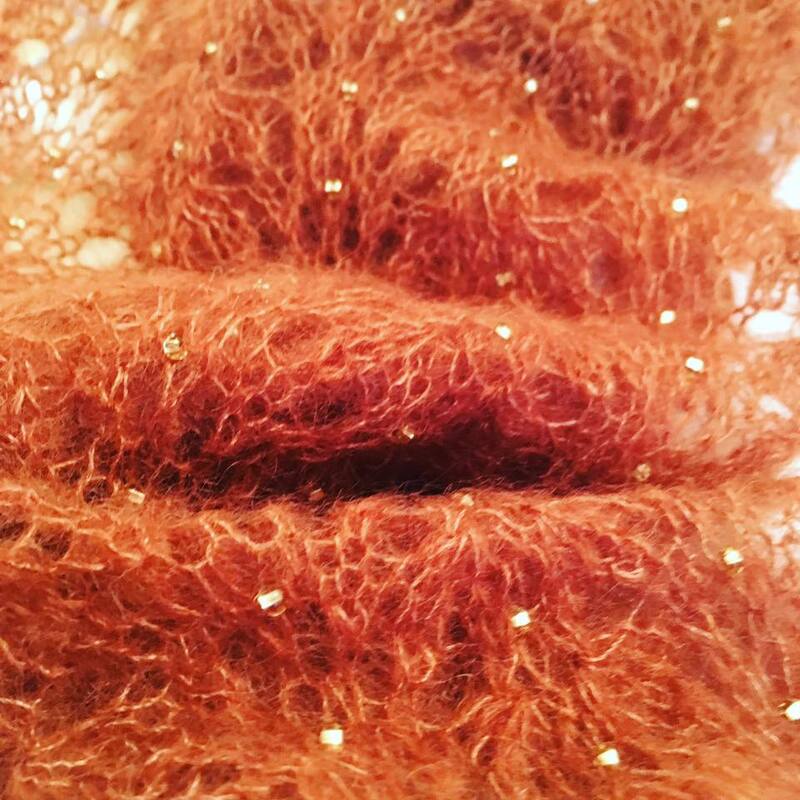 Lace knitting, beading (all fully explained). Moderate – easily achievable by a reasonably confident but basic knitter.